- Thoughts about getting in those circles... Also for business pages! I can’t say this often enough: If you want to have people circling you, first you should be doing this to people yourself. There are lots of lists, the search and suggestions for all interests and you can also ask people to share their circles with you directly, either in private or in public. 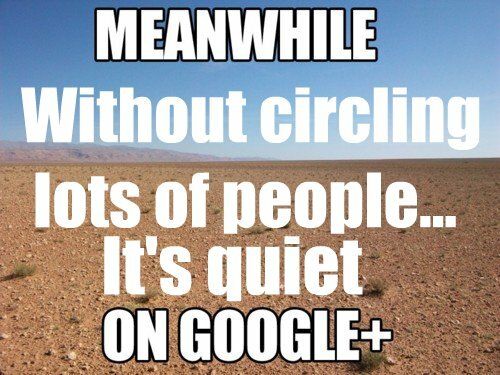 Try searching Google+ for "shared a circle with you" and save the search, then you'll have a never ending supply of interesting people, recommended by the Plussers. Or take a look at +CircleCount website and their shared circles. - Remember to add your profile in their home page, nice stats and stuff there for you. This new feature will be a game changer for Google+ as it makes getting together and finding interesting people even easier. You can interact with the folks in the community or circle them and start following what they post about outside the community, too. When posting to Communities, please stay on topic. - Do comment, +1 and share interesting content to and from the Communities! 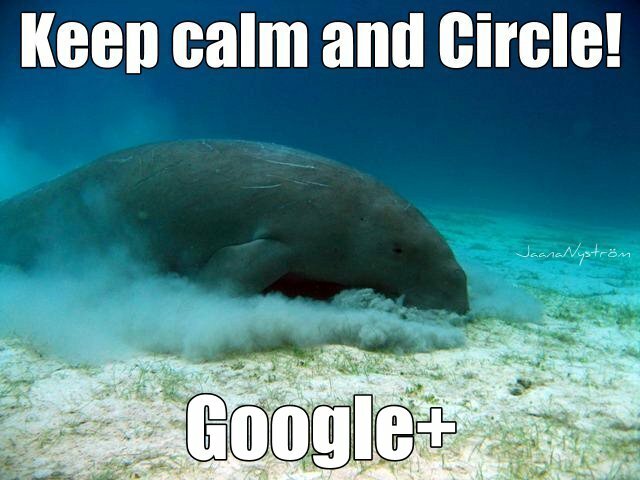 CircleCount has created a list of the Google+ Communities, many tens of thousands of them already listed! Google+ support site for Communities is a good place to start and find answers to many questions. Circle, curate, create, communicate & consume! After posting some stuff, the next step is to make comments. It does not have to be a full-blown opinion or explanation, just a few words to show you’re interested. When you do comment, the author and all other commenters get a notification (unless some of them muted the post), but your circles won't know. - Click "+1" to let the author of the post know you read their post. Your circles won't be informed that you +1'd something. - Click "Share" to tell your circles about this. You can choose what circles to share with or if you want the whole of Circleverse to know, then go Public and better still: Use #hashtags to describe the contents of the post, and you can also add your own introduction text. The hashtags can be yours and unique or already used by someone else; when you type # and start typing a word right after it, Google usually suggests some hashes. 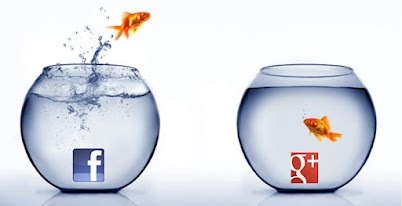 Try it - share this blogpost on Google+! Just click on the +1 button on top left (black bar) or leave a comment and choose with which circles or Communities you wish to share. There are many ways to share on Google+: Note the video bit below! The Green Pencil Icon - You can write a post, share new ideas, write anything you like. The Blue Camera Icon - You can drag a photo to share, upload from your computer, or share on already in one of your albums. The Yellow Link Icon - You can share an article, website, anything you like! Please do not use this feature to share videos! When clicked on a mobile, the video is opened in a browser, not in the app. 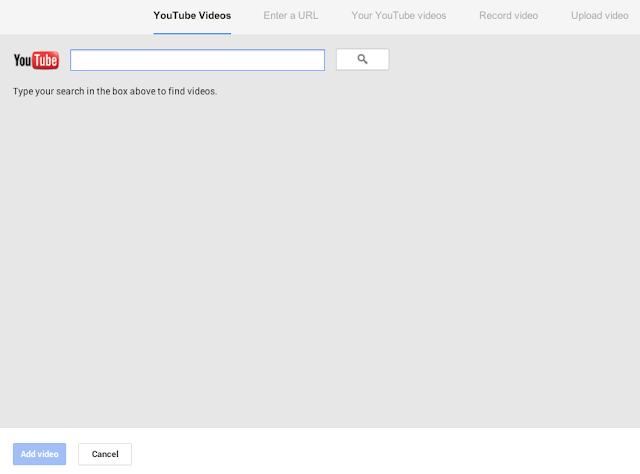 The Red Video Icon - This is the proper way to share a video on Google+. You can share a YouTube Video, Share a Non-YouTube video, upload a video, or record and share a video, share any video using the URL. See the image above what happens when you click on the red video icon. You can paste the video link in the box and search, then click on the video icon in the result and that will be attached to your post. The Green Event Icon - This allows you to create an event to remind your friends of an up coming party, a On-Air or Hangout party. It allows you to create a shared photo album so that those timeless photos during the event show up all in one collective album. When the Plussers (others too, not just the original poster) see your contribution (+1, comments or share) they will check out your profile's hovercard and perhaps the profile, too. If they like your content, then they will circle you. - When you mouse over somebody’s name in Google+ you see a hovercard with a picture, name and some text, if the person has filled out their profile, that is. Otherwise you’ll just see a Bluehead image and a name. Take a look at your profile's 'About' page. Employment – Think carefully what you write here because the text is shown on your ‘hovercard’. This is a big factor when deciding whether to add someone to circles or not! You can make the text quite long, but be careful not to bore or overwhelm the possible followers. Make it snappy, like an alligator sandwich. Remember to use ‘current employment’ option for the text to show. - Your Google+ profile About -tab has a Story section, where you can add a (brief) description of yourself. Click on Edit and write; The "Tagline first. Don’t make it too long, just so it shows in full. I recommend making your Story public for ‘anyone on the web’, as the "Tagline" will be your personal 'headline'. If several people have the same name, this is what distinguishes you from the rest. 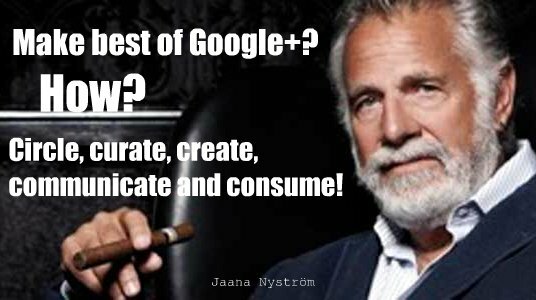 How about telling your contacts that you've joined G+? Write a simple post, then choose the circles you want to share it with. G+ suggests those circles that you used in your last post. If you select individual circles, G+ asks if you also want G+ to send e-mail to those people who are in your circles - if you do this, be careful to not annoy your contacts. Sometimes G+ won't ask about this, and that means no e-mails will be sent. You can also add those friends who have an email address but haven't joined G+ yet: Just type the email address in the bottom share box. You can add formatting like *bold* and _italic._ Just put those characters around the words. You can also mention others by typing + followed immediately by the name of the person. Google+ offers you a choice of names in a drop down menu, choose the correct one or paste the Google+ ID after the + sign. (The ID is the 21 -digit number series in the profile URL or address.) This will turn into the +name after posting. To edit an existing post, click the small down arrow (top right of the post) and select "edit". This does not work on the Notifications stream. Also, to edit Community posts you have to be in the Community tab / page. Too many of you haven't given any thought for the text on your hovercard Tagline! You have around (or less in some cases) 30 characters for the 'tagline' so don't waste them in repeating the company name, never mind the SEO. The name is displayed on the hovercard and the tagline comes right under it. The funniest tagline I saw just recently was "Company x - accessory in..."
- Accessory in what? Murder? After the fact? When people are mousing over your name anywhere on Google+, they're looking at the hovercard and they want to know what the company is about. Thank you! I just started using G+ and still finding it a bit overwhelming, but slowly growing my circles.. Build your circles with people / Pages that offer interesting content, search for your interests and circle engaging folks in comment threads of other people's posts and communities that you join. Thanks, +Jaana! I've been enjoying using Google+, but I've found it hard to connect people with our business page (https://plus.google.com/b/112872420259825282231/112872420259825282231/about). Part of that is that I can't get a vanity URL because I don't have more than 100 followers (which turns out to be a chicken-and-egg-type problem). Meanwhile, over at www.facebook.com/shinnphoto, we have almost 1700 followers/friends. Any further tips on increasing engagement with a business page? This is an excellent overview of the steps necessary to generate interaction on Google+. Every new user needs to read this, or something like it, to understand how to improve their experience on G+ and build their following. Thanks for your tips. 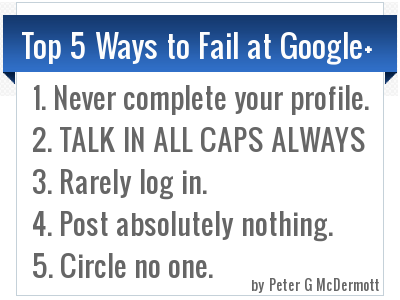 This Google + thing is quite new so these insights are vital. I am still having trouble getting my Google authorship set up but I am working on it. Any tips on that would be appreciated. Thanks again. This is really a great post on getting started with G+. I joined when it was still in beta but I believe when I first started, I went about things in more of a Facebook type of way and it really didn't get me started on the right foot even though I did get a bunch of people to put me in their circles. I think most of those same people thought the same way I did, gave up & went back to FB. I recently re-committed myself to G+ and I feel like now I understand it in a different way. Your post reaffirms that. Thank you +Jaana Nystrom!! I'm happy to hear that, Eric! Jaana, Thanks so much for this post. On your recommendation I just updated my cover board (it was kind of hard to read) and made some changes to my employment. I'm so glad that I've circled you! Good for you, Rachelle! I'll be happy to help, always.